Three months is longer than you think. Three months is enough time to learn a new language, write a novel, or take an around the world cruise. You can build a house in three months, or a boat. But you can’t plan a wedding in three months, or can you? Wedding planning is supposed to be incredibly time consuming, filled with innumerable details and decisions. Right? Actually, not only is it possible, it’s easier than you think…even for a destination wedding in a foreign locale. As a matter of fact, if you follow a few simple guidelines it’s no problem to plan a wedding in Cabo San Lucas in as little as 90 days. And not just any wedding, but a picture perfect dream wedding in a spectacular ocean view setting, with every last detail flawlessly designed and executed. Trust us. We’ll even show you how. 1) The wedding should be limited to intimate friends and family; no more than 20 to 40 people in total. It’s no problem to plan a small wedding in 90 days. But if your dream nuptials involve a grand scale ceremony that would put the royal wedding to shame, we’ll need a little more time. 2) The use of the word “we” may have tipped you off, but you’re definitely going to need a wedding planner. 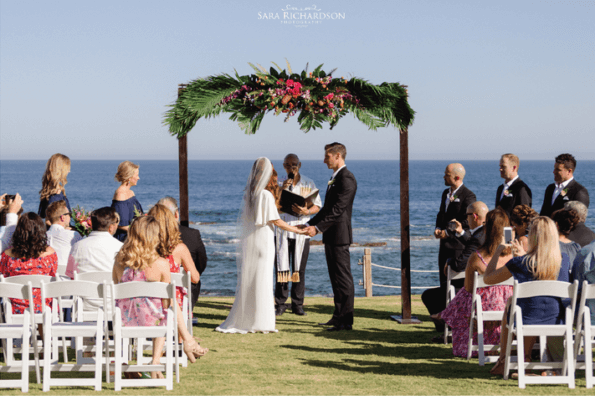 The reason it’s possible to plan a wedding in Cabo San Lucas in such a simple, swift and stress-free manner is that someone else is taking care of all the day-to-day details. An experienced local wedding planner is the key to an enjoyable and efficient planning process. Enter Creative Destination Events. 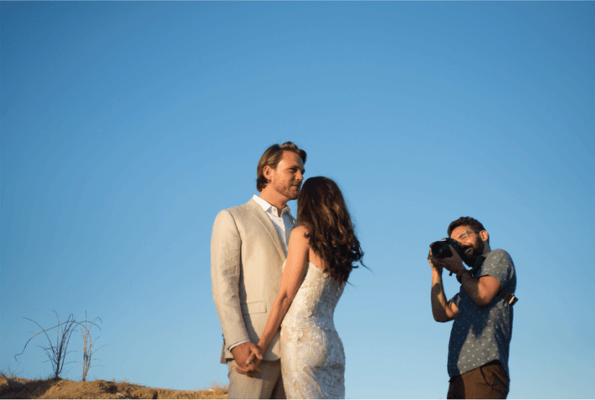 We’re the premier full-service planning and production company in Los Cabos, and there’s nothing our talented team of event specialists like more than taking a couple’s “big picture” vision of the perfect wedding and turning it into a reality. And yes, we can and have planned weddings in as little as three months. The way it works is this: you make all the big decisions in terms of budget and vision; we make all the actual arrangements, albeit while keeping in close contact so there’s never any confusion about the timeline or details. At CDE, we take pride in our close working relationships with couples, and in providing an immediate response to all queries, questions and concerns. The quick response commitment must be mutual, however, for a three-month wedding plan to work. That’s why we always ask for a primary contact we can reach at any time via phone, email or WhatsApp. 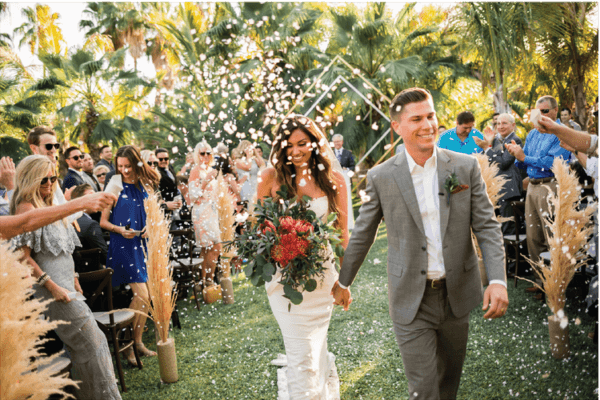 A key concept to remember when you plan a wedding in Cabo is “working big to small,” and taking care of the big issues is absolutely essential during the first month of a three-month planning window. For the first 30 days, these “big issues” include the budget, the invitations, the vendor team, and choosing the venue or venues for the rehearsal dinner, ceremony and reception. The budget should necessarily come first, since it determines so many other things. It’s crucially important that couples have a realistic understanding of their budget, and that it makes sense to them in terms of their overall vision. There must be total transparency here to avoid any misunderstandings, and of course a deposit will be needed to get things started in terms of venue and vendors. Locking in major vendors should be taken care of early on, from the minister or officiant to musicians, photographers and videographers. To get this commitment it will be necessary to contract and pay them at least 3 to 4 weeks before the event, but ideally this should be accomplished during the critical first month to ensure they don’t accept any other work on your wedding date. 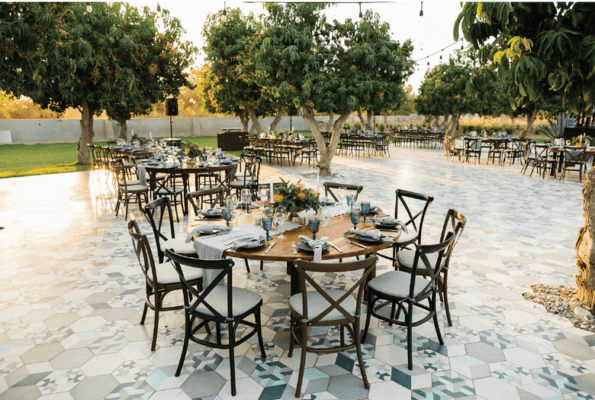 Fortunately, CDE enjoys excellent working relationships with the finest vendors in Los Cabos, including the florists and design and décor specialists who’ll be tasked with transforming the venue to meet your ideal vision. 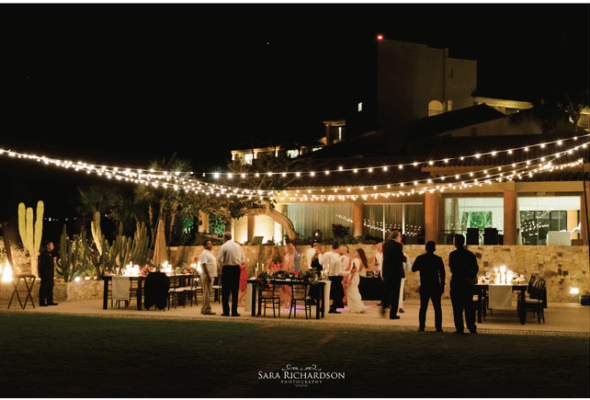 Speaking of venues….one of the reasons Cabo San Lucas is such a popular option for destination weddings is its spectacular array of beautiful settings, from golden sand beaches to cliffside luxury villas, desert oases to resort-based ballrooms. Picturesque venues are available at a variety of price points, and the selection is so large that locking in a preferred site on short notice is rarely an issue. Once the big four items–budget, invitations, venue and vendor team–are under control, then it’s possible to start shading in the finer details. But although they may be smaller in scope, these are the sorts of “extras” that can elevate that special day into an unforgettable celebration for you and your guests. 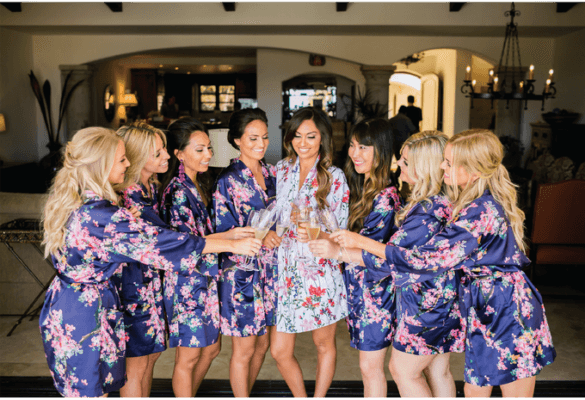 Such details can include hiring specialists like cigar rollers, tequila and wine sommeliers, or fireworks vendors; or building out the timeline to include auxiliary activities like a pre-wedding golf outing for groomsmen, or a poolside spa day for the bridal party. What’s important to remember is that even on a truncated timeline, you can “plan a wedding in Cabo” that goes well beyond the basics. For most of this three-month process, it isn’t necessary for the bride and groom to be in Cabo San Lucas. We can coordinate and report progress via phone and email. A week out from the actual wedding date, however, it is important for us to meet you in person and go over all the various “day of” details. These details include a visit to our showroom, and a step-by-step check and confirmation of all the décor and flower arrangements. Then, two days before the wedding we’ll need to do a rehearsal, and the day before the ceremony we’ll do it again with a line up practice for all participants. Finally, the planning is over and the big day has arrived. This is the moment you’ve been waiting for all your life, and thanks to the efficiency of Creative Destination Events, you’re not even mildly harried or stressed out. Instead, you’re rested and ready, primed to say “I do” in a sun-splashed tropical paradise. That’s how quick and easy it can be to plan a wedding in Cabo. All you really need are 90 days and CDE. 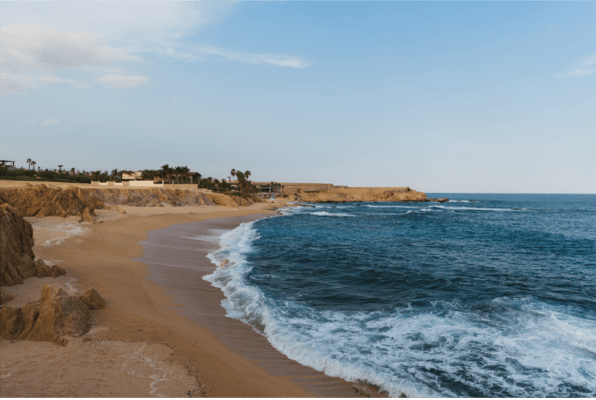 This entry was posted in CABO WEDDINGS, DESTINATION WEDDINGS, LOS CABOS WEDDING PLANNER, WEDDING PLANNING and tagged How to Plan a Wedding in Cabo.